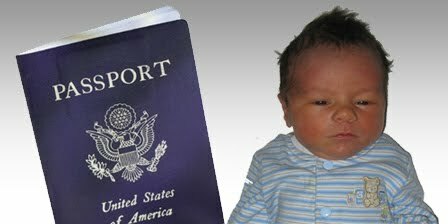 We now have two kids with baby passport photos. Kanyon's was taken when he was 3 months old and Corbin's was taken when he was less then a week old. I always find it funny that they will use this same picture until they turn 5 years old. Hair Color: Black now but will it stay? Eye Color: Blue for now ...maybe turning brown, blue, or green later? 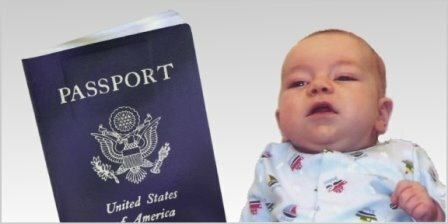 Babies always seem to take the funniest passport photos. We didn't even comb Corbin's hair! We were so excited that his eyes were open we snapped the picture without thinking about his hair. Kanyon's photo isn't must better!